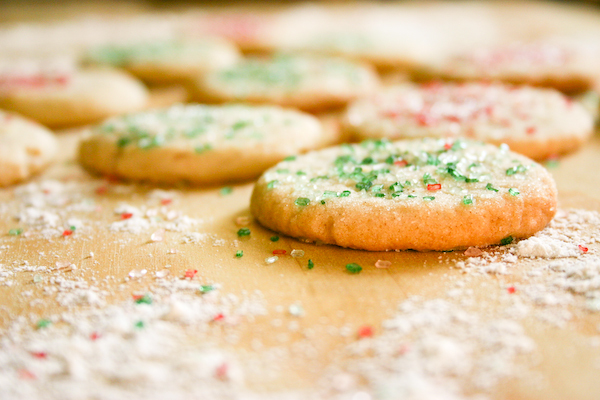 Homepage / christmas / Cinnamon Sugar Cookies. If I could bake anything right now… I think I’d bake some banana bread. Or something with coconut and rum. Something summery, maybe baked on a grill. A wedding cake? … this just got weird. 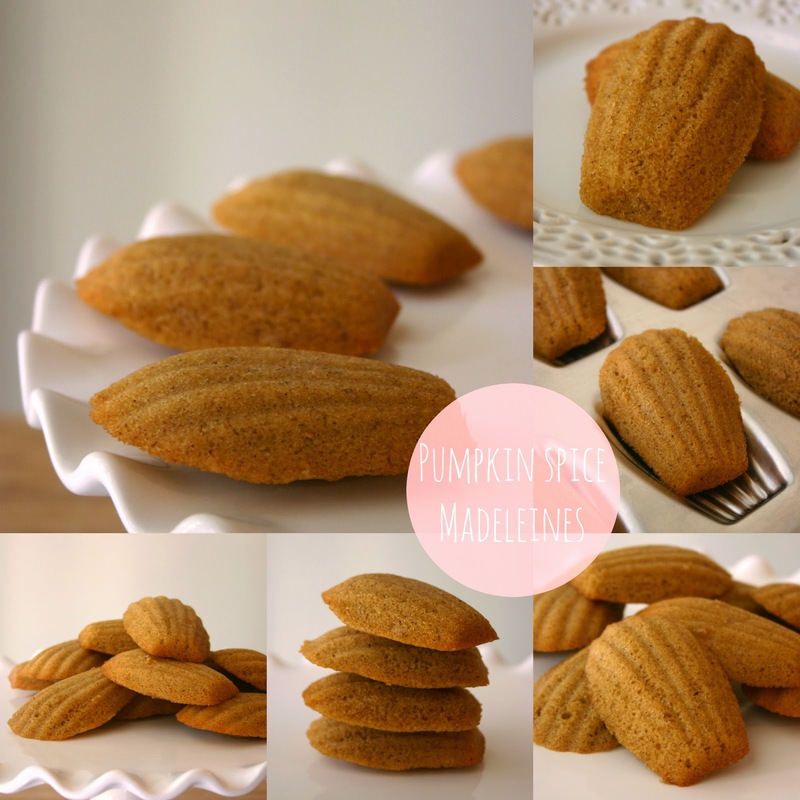 peanut butter blossoms, chocolate fudge, brown sugar shortbread, gingerdoodles, cut-out sugar cookies, English toffee, and these. 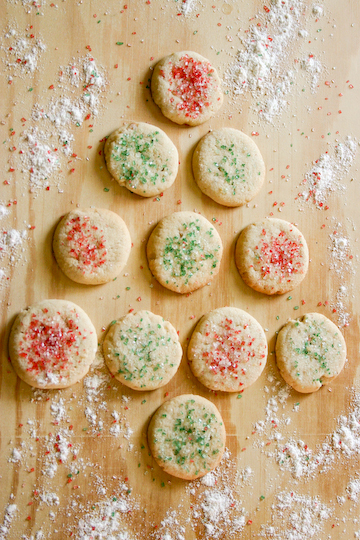 Cinnamon sugar cookies. Like an inside-out snickerdoodle. 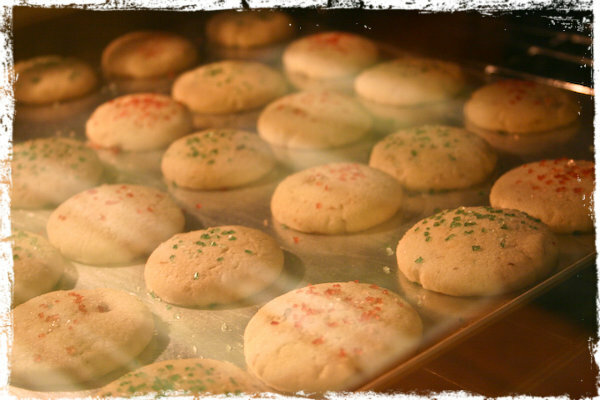 Or a sugar cookie. With cinnamon. 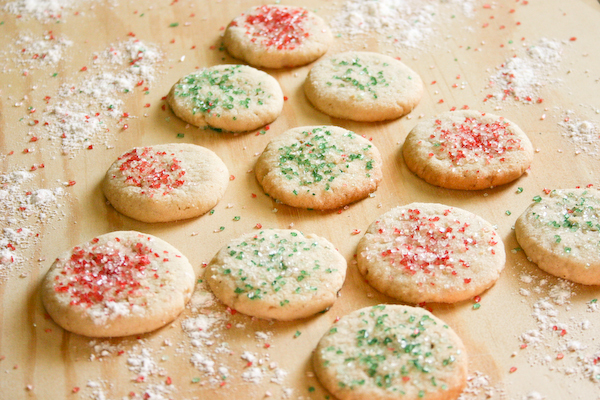 They’re simple, light, crispy, Christmasy, and covered in sugar and sprinkles. All good things. … so, no big deal, but I’m cookied out. Maybe it has something to do with eating shortbread and gingerdoodles three nights in a row for dinner? Or baking seven days in a row? Snacking on cookie dough? … I didn’t think so either. This is why we’re friends. 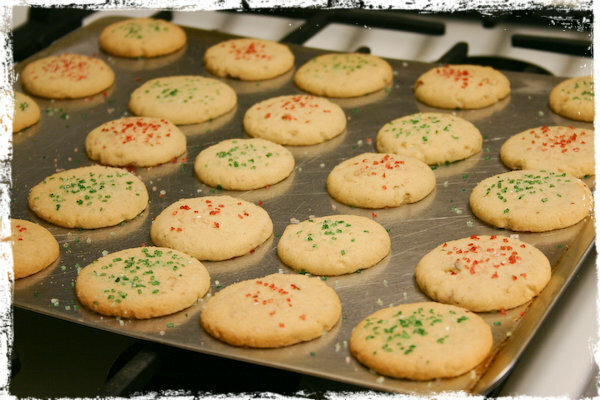 In a large mixing bowl, cream the butter, granulated sugar, confectioners’ sugar, and oil. Add eggs and vanilla; mix well. Roll dough into 1-inch balls. 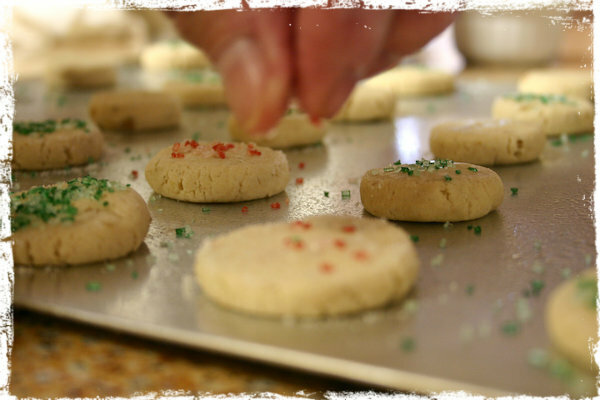 Place on greased baking sheets; flatten with the bottom of a glass dipped in granulated sugar. 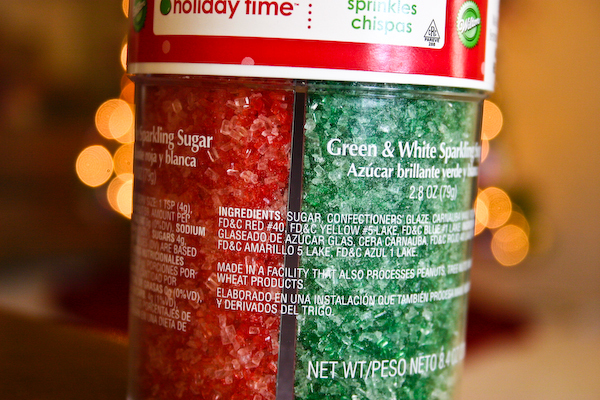 Sprinkle with colored sugar if desired. Bake for 10-12 minutes. Remove to wire racks to cool. Makes about 10 dozen cookies. Source: Taste of Home Best Loved Cookies & Bars, Fall 2007. 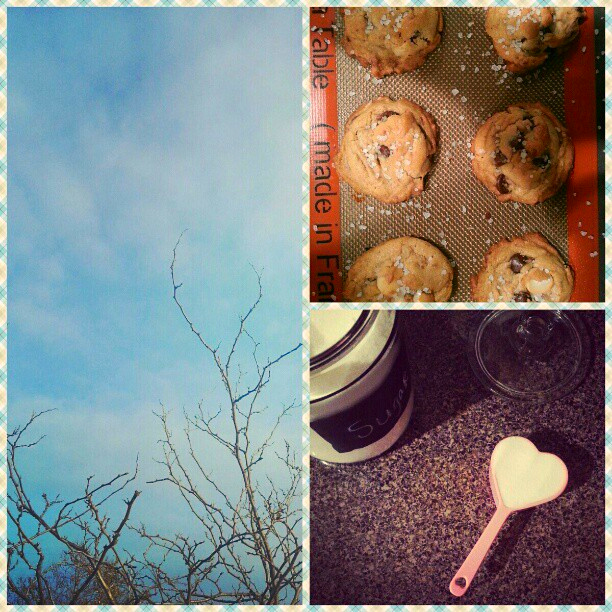 Brown Butter Toffee & Macadamia Nut Chocolate Chip Cookies. 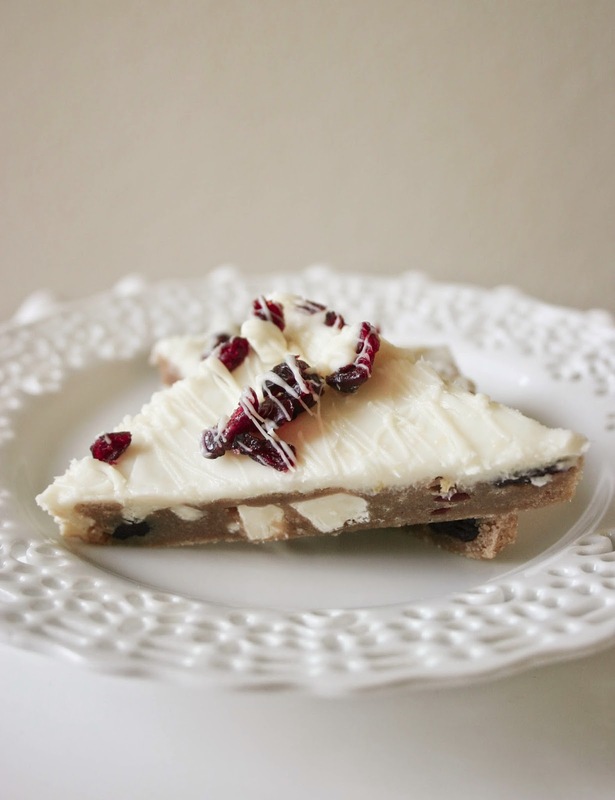 Brown Butter Cranberry Bliss Bars. Previous post Homemade English Toffee. Next post Brown Sugar Shortbread.